Leicester are a step closer to making their dream a reality after Claudio Ranieri's men swatted aside Swansea to tighten their grip on the Premier League title. 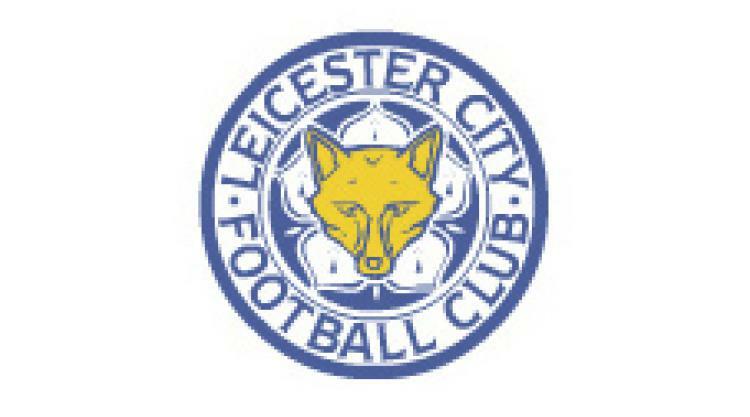 Supposed relegation fodder and considered a 5,000-1 shot for the title, the Foxes edged towards a first ever top-flight crown to the tune of the King Power Stadium's thunderous roar on Sunday. Riyad Mahrez's opener was complemented by a Leonardo Ulloa brace and a Marc Albrighton strike as Swansea were beaten as soundly as a 4-0 scoreline suggests, moving City eight points clear of Tottenham ahead of the second-placed side's clash with West Brom on Monday. Anything but a home victory at White Hart Lane could see the Foxes clinch the title at Manchester United next weekend, wrapping up one of the most remarkable triumphs in sporting history - never mind football. Ranieri finally broke his silence on title talk ahead of a match that got off to a dream start, Mahrez blocking a poor Ashley Williams pass and showing wonderful composure to fire home. Ulloa, in for suspended top scorer Jamie Vardy, put City further ahead by superbly nodding home a Danny Drinkwater free-kick, before turning in at the far post with 30 minutes remaining after fine work by Jeffrey Schlupp. Substitute Marc Albrighton added extra gloss to the scoreline as the match came to a close with a chorus of "we shall not be moved" - an almighty din that rarely let up from the start of Leicester's penultimate home match of the season. "History makes us who we are" read a banner held aloft by the home fans, whose early nerves were audible after Spurs' dominant win against Stoke and Leicester's rare slip-up against West Ham. Palpable tension soon turned to unbridled joy, though, as Swansea captain Williams' attempt at a first-time pass hit Mahrez. It was a gift for the Algerian, who cut inside after his momentum had taken into the box and showed impressive composure to send a left-footed strike inside the near post. Referee Mark Clattenburg was unmoved by any suggestions of handball in the build-up to the 10th-minute opener, which Swansea looked to cancel out as Federico Fernandez headed over a Gylfi Sigurdsson free-kick. Schlupp, one of two Leicester changes, was proving a particular nuisance down the flank as Leicester tried to stave off a comeback, with an acrobatic Christian Fuchs attempt comfortably saved before Shinji Okazaki's strike was deflected wide. Ranieri's men would not have to wait long to increase their lead as Wayne Routledge's foul on Wes Morgan led to a free-kick on the left flank, which Drinkwater curled in for Ulloa to superbly head home having got the better of Williams. "Are you watching, Tottenham?" echoed around the King Power Stadium but Swansea tried to peg back the hosts, with Fernandez again heading over before ex-Tottenham midfielder Sigurdsson tested Kasper Schmeichel from distance. Swansea boss Francesco Guidolin brought on Jefferson Montero and Alberto Paloschi in a bid to add more attacking nous, although it was not to bring with it an increased threat to the hosts' goal. Leicester were far more ruthless and grabbed a third in the 60th minute thanks to Schlupp's pace and power, allowing him to beat Fernandez to the ball down the left. Williams denied his attempted pass to Ulloa but he reacted quickly to prod forwards, with the striker stretching to turn home at the far post. Fuchs bent a free-kick wide and Schlupp forced Lukasz Fabianski into a low save as the home side looked to notch again, with Andre Ayew's header into the side-netting a rare second-half threat to City's clean sheet. Fabianski produced a great stop to deny Andy King, on after Ulloa sustained a late knock, before City's three substitutes combined for the fourth. Demarai Gray's fine work down the right ended with a cushioned King header that fell kindly for the January signing. Fabianski kept out his strike impressively but Albrighton was there to slam home.